In case you missed it, the California Department of Toxic Substances Control (DTSC) recently settled a complaint with FedEx Ground Package System, Inc. (FedEx Ground) in Sacramento County Superior Court for almost $3.4 million in hazardous waste fines and protections that would deter the company from similar conduct in the future. This is the second settlement reached in a case that began with a complaint filed by DTSC on June 25, 2014, and followed up with a second lawsuit filed by District Attorneys in nine California Counties on July 1, 2014. You can read more about the first settlement for $1.75 million HERE. The DTSC complaint alleged that between November of 2008 and May 2014, FedEx Ground violated California’s Hazardous Waste Control Law (“HWCL”) by failing to properly manage as hazardous wastes, packages that were discovered at company terminals to be broken or leaking and that contained hazardous products such as acids, solvents, insecticides, batteries and other flammable, toxic, or corrosive materials. In some instances, FedEx allegedly either delivered the packages to the intended recipients or returned the packages to the original shipper (after repackaging, if necessary), without a hazardous waste transporter registration or a hazardous waste manifest. In other instances, the company allegedly stored the damaged packages at the terminals, placed them into salvage drums, and sent them to a hub facility for eventual recycling or disposal, without properly identifying and labeling the materials as hazardous waste, using a hazardous waste manifest, or shipping the material directly from the terminal to an authorized hazardous waste facility. DTSC alleged that FedEx Ground unlawfully transported hazardous waste packages to FedEx Ground hub facilities that were not authorized to accept hazardous waste. The case made by DTSC focused on four specific violations. The complaint states that at its three California hubs (one each in Sacramento, Los Angeles and San Bernardino Counties), FedEx Ground unlawfully received and stored hazardous waste. Hazardous waste law states that facilities must be certified to accept and store certain kinds of hazardous waste, and waste must be kept in the right kind of container. Mistakes in waste storage create a toxic environment for employees, lead to property damage, and create dangerous safety hazards that can impact employees, facilities and the local community. By not maintaining proper facility certifications, and having a staff that was unfamiliar with and untrained in proper hazardous waste storage requirements, FedEx ground was charged with hazardous waste violations. FedEx Ground transported hazardous waste without hazardous waste transporter registration and without use of a hazardous waste manifest. 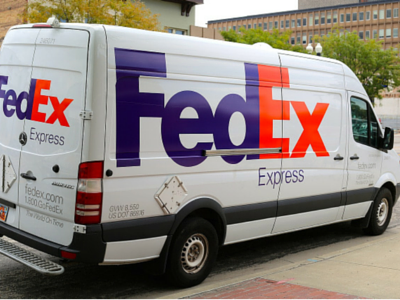 DTSC alleged that FedEx transported packages that were leaking corrosive substances. This created a health hazard for package handlers, drivers. In several instances, in a concurrently filed complaint that was filed by District Attorneys in 7 California counties, it was shown that unsafe packages were even being delivered. A reputable hazardous waste transport company will have proper and well-maintained equipment, adequate insurance coverage, employees who are certified to handle hazardous waste and will certify that hazardous waste is disposed of correctly. Because FedEx Ground was transporting hazardous waste without a license, it was alleged that an unsafe situation was being created that impacted their employees and local communities. If your operations generate hazardous waste you have the sole responsibility to select the appropriate classification for the waste you generate, and to know what regulations apply to your company. The applicable rules depend on the total amount of each type of waste generated by your facility each calendar month. The rules for determining if a certain waste must be classified a “hazardous” are contained in the Resource Conservation and Recovery Act (RCRA), and in the regulations created by the Environmental Protection Agency. In this case FedEx Ground generated hazardous waste once they stored hazardous waste from broken packages in salvage drums for transportation to a disposal or recycling facility. At that point they were required to comply with hazardous waste laws and make a proper hazardous waste determination. A uniform hazardous waste manifest must accompany most hazardous waste that is shipped off site. The Uniform Hazardous Waste Manifest is the shipping document that travels with hazardous waste from the point of generation, through transportation, to the final treatment, storage, and disposal facility (TSDF). Hazardous waste regulations require a manifest because it provides the mechanism for cradle to grave tracking of generated hazardous waste streams. By not filling out manifests, FedEx Ground created a situation where there was no oversight or tracking for potentially dangerous packages containing hazardous waste. This is an interesting case because the actions brought against FedEx by the nine county District Attorneys and DTSC (both settled) represent a new front in the California’s aggressive efforts to enforce the hazardous waste rules against non-industrial waste generators, such as retailers, telecommunications providers, and now ground transportation companies. ALL COMPANIES DOING BUSINESS IN CALIFORNIA, regardless of industry need to understand their obligations under hazardous waste regulation in the state. California is a particularly aggressive state in terms of compliance and enforcement. A great first step in understanding your obligations is to download a copy of our eBook entitled “The Top 10 Hazardous Waste Violations, and How to Avoid Them.” This book will give you a good look at the common types of enforcement actions and how to correct problems within your operations.